In San Antonio earlier this year I sat down with Jeff Waller and Tracey Smith. Although conferences like the one I was attending that day tend to feel a little overwhelming, it was such a treat to sit for a moment and hear about their work. Jeff Waller is the co-creator of the 7 Mindsets, and Tracey Smith is the principal at Brookwood Elementary School in Forsyth County, Georgia. They spoke about the way the 7 Mindsets have helped them shift school culture in schools like Tracey’s across the country. I was first introduced to the 7 Mindsets a few years ago when attending and presenting at the TCEA Conference. 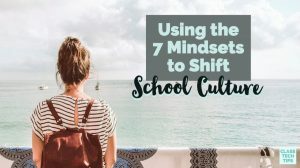 Last month when I met Tracey and heard about the shift in school culture that took place in her elementary school, I knew I had to dive in deeper. On the plane ride home I devoured an overview of the 7 Mindsets — and you might have even seen the picture I snapped in my Instagram stories too. As a school leader, Tracey Smith embraced the 7 Mindsets model in her school. She created a Positive Learning Environment committee consisting of one person from each grade level. Their goal was to focus on one mindset a month. The committee decided how they would spread this message across the school. 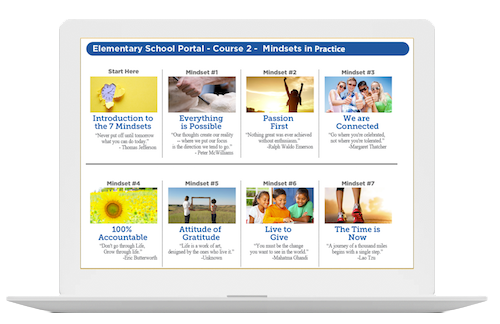 The Positive Learning Environment committee at Tracey’s school uses the 7 Mindsets portal to put this work into action. This online space helps them choose where they will place their focus each month. They had mandates for incorporating social-emotional learning into their curriculum. So it was an excellent fit for finding high-quality resources that shift school culture at the same time. 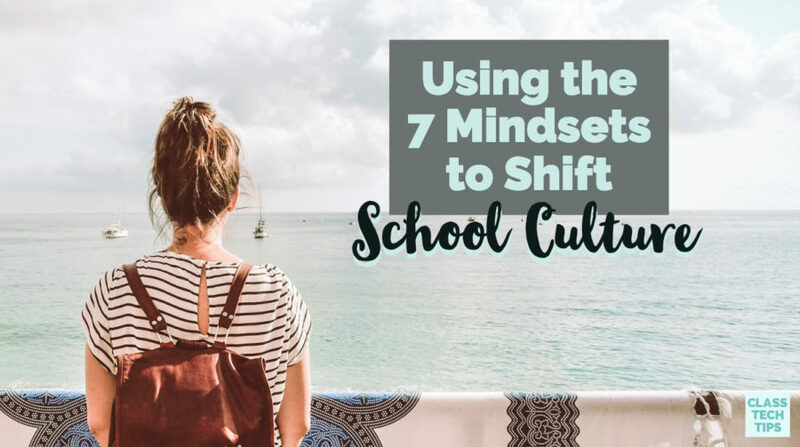 If you’d like to learn more about the 7 Mindsets, are interested in a curriculum that incorporates social-emotional learning, or are ready to shift your school culture this year, visit their website. You’ll find lots of information on the 7 Mindsets and resources to help you get started!